Well, I am a day late so this is now Saturday Six, though I have kept the title the same for ease of finding later if I or others want to do a search for Friday Five. These are six great Science resources that we love and use frequently. 1. Apologia Exploring Creation series – Bear has done Exploring Creation with Botany and is now doing Exploring Creation with Zoology 2: Swimming Creatures of the Fifth Day. She loves these books, probably because they don’t dumb things down. They go into details that even I don’t know (benthic animals, anyone? ), but they are conversational in tone, so make for pleasurable reading. 2. 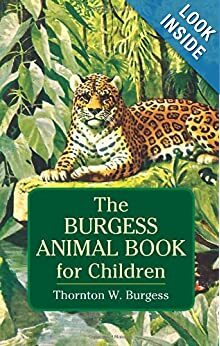 Living Science Books – We love Thornton Burgess books like The Burgess Bird Book and The Burgess Animal Book and the Burgess Seashore Book, but also read plenty of Let’s Read and Find Out About Science readers. I especially love the latter for the preschool crowd. 3. Plastic animals – Love the Toobs. They have been great for sorting, classifying, matching to three part cards, and just for playing, too. They are great for adding to sensory bins/boxes. 4. 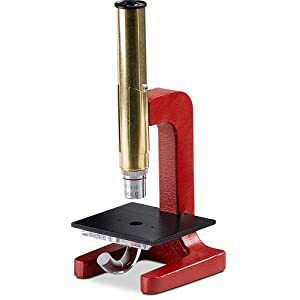 Microscope – We have the Brock Magiscope. It is easy to use and can grow with us with the purchase of a couple more lenses. 5. Snap Circuits – Even J-jo loves to put circuits together. 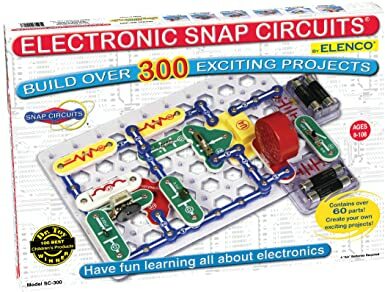 I have high hopes to actually do lessons with this later and have the teacher’s guide as well, but for now, they just explore, making their own circuits or copying the ones in the book. 6. 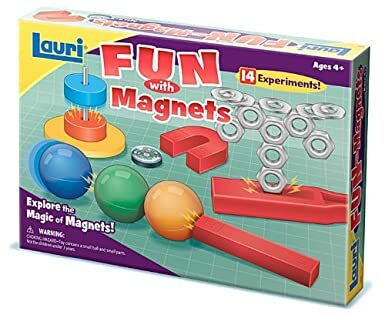 Magnet Kit – After reading about this kit on What Did We Do All Day? we got the kit and J-jo has had a lot of fun with it. For more Science favorites, visit Montessori MOMents’ Friday Five Science Edition and stay tuned for the Geography Edition next week. 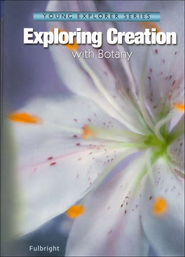 Thank you for sharing the Apologia Exploring Creation Series. It sounds wonderful. I'm going to look into it. We also love the toobs. My kids love having the little models to play with or act out along side their learning. It helps them remember information too. That magnet set looks fun too. Glad you linked up. Have a great Sunday! Great resources. We mostly do interest-based science here lately. I am curious what science curriculum will look like this year in the second grade. I've been looking out for a microscope. Yours look very different than any ones I've seen. Where did you purchase it and how do you like it? We shared a lot of the same favorites this week! I have been interested in checking out Apologia's science curriculum books, they look like something my son would be interested in. Thank you for sharing. Those are all resources we love too. We have a different microscope, but I'm trying to decide if we need a better one. Although we aren't starting it until Labor Day week, we are also using Apologia for science – "Exploring Creation through Astronomy" this year. I spent so much time looking for a great science program that was detailed and thorough, yet not above their heads. It's a hard balance to find – there is so much almost written *down* to kids, when they also need to be challenged. The girls are excited to begin their notebooks!